Dressers have staying power. If you invest in a good one, you’ll be able to use it for decades. Yes, decades! But like anything else for your home, there are lots of dresser styles to choose from, a broad range of quality to navigate and frankly, some mystery around why some dressers are $250 and others are $2500. Today we’re pulling back the curtain to explain what goes into making a dresser and why it’s a good place to spend more to get more. What goes into a good quality dresser? Two things: materials and craftsmanship. The quality of the wood and hardware play a big part in the overall quality—and cost—of a dresser. Our woods have names you’ll recognize from the trees in your yard: walnut, cherry, maple and ash. We also sustainably source these woods within the United States. It costs more, but we think it’s better for the planet and makes better furniture. Hardware, like drawer glides, makes a big difference in how well a dresser holds up over the years. Our 3/4-extension, ball-bearing glides are designed to support 100 lbs of weight and daily wardrobe indecision, unlike cheap plastic or thin metal glides that can crack or warp over time. 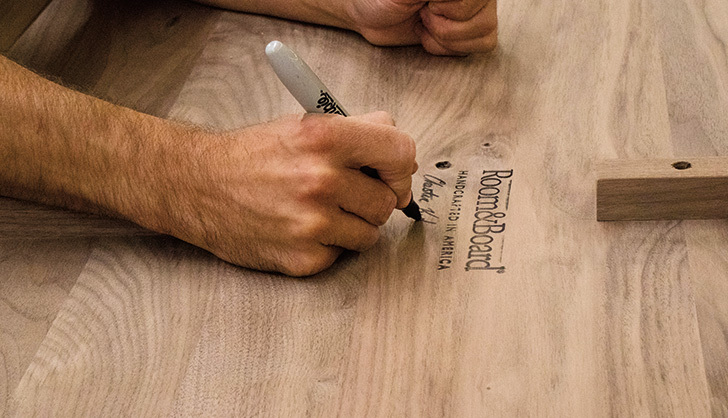 A craftsperson signs their name to the back of a Room & Board piece. Next, craftsmanship. Of course, it’s cheaper to buy a dresser in a box and assemble it yourself. 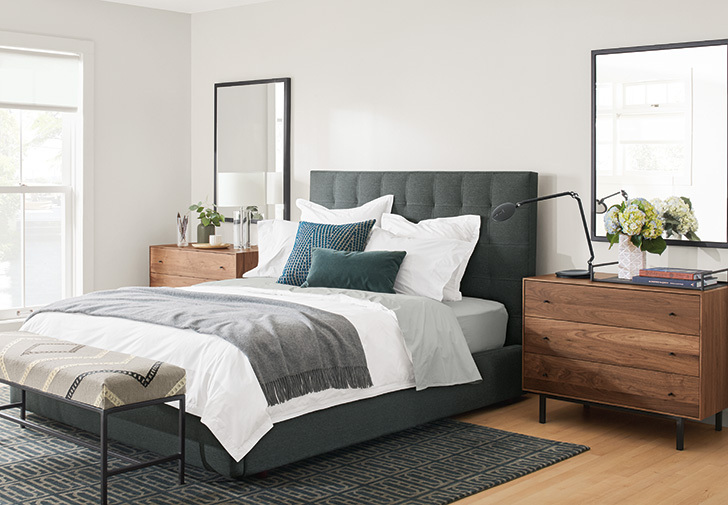 When you buy a dresser from Room & Board, you’re investing in a piece made by an experienced woodworker in the United States. Each dresser is built using time-tested joinery techniques (think dovetail drawer boxes), crafted by hand and then hand sanded and finished. It arrives in your home ready to use, no assembly required. (Plus, our friendly delivery team will place your dresser in your room and take all the packaging away with them.) 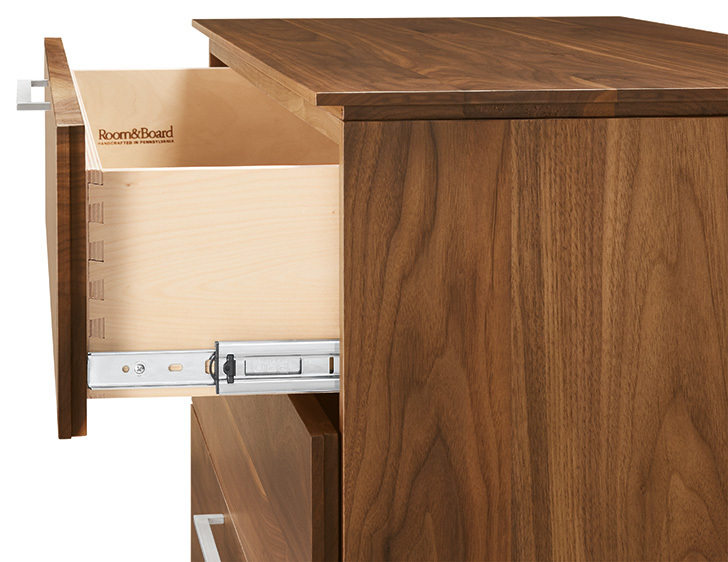 Bottom line: craftsmanship is the difference between a dresser meant to last a few years versus a lifetime. What should I look for in a dresser design? In addition to the quality of the materials and craftsmanship, we think the design is an important part of a dresser’s longevity. 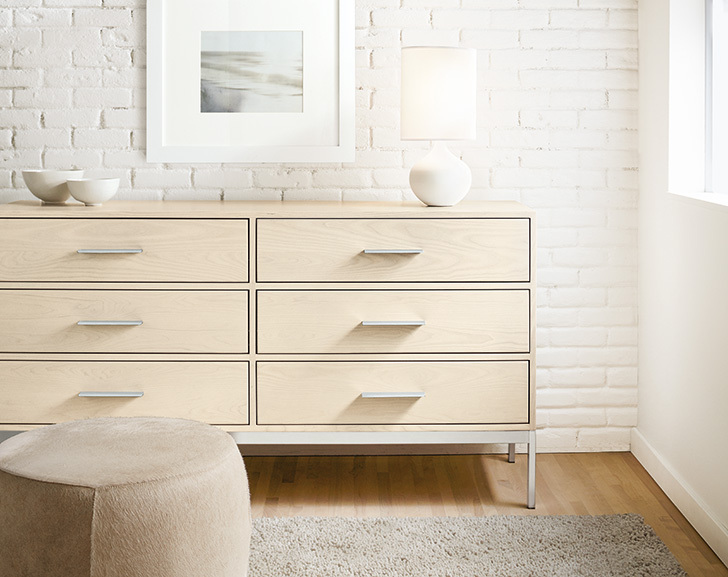 Our dressers have clean lines and a modern-but-classic look. This means they’ll easily blend with your personal style even as your tastes change and design trends come and go. Simplicity always looks good. Lastly, consider the size. Most dressers tuck into a bedroom, but they can also play nicely at the end of a hallway for linen storage or in an entryway to stash hats and gloves. We keep a wide range of dresser sizes in stock so you can choose one that works for the proportions of your room and how much storage you need. A 50-70″ wide dresser is usually ideal for a bedroom, while a 30-40″ wide option is perfect for a hallway, entryway or even as a nightstand. 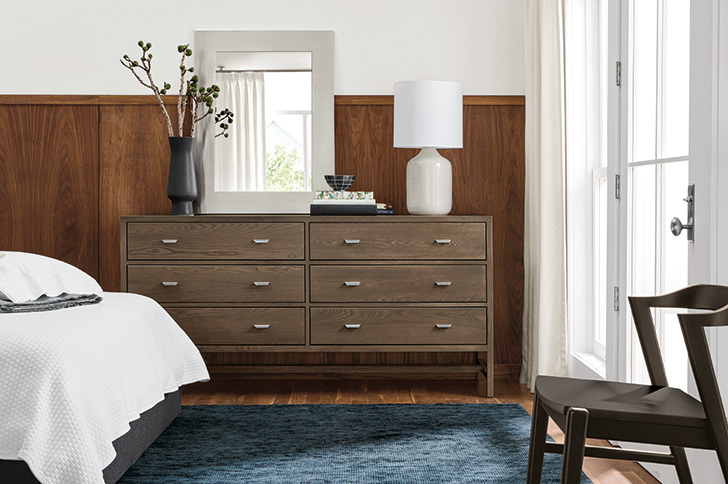 Stop by one of our stores to see all of our dressers in person and compare your options in our new bedroom storage departments. I love my Room and Board dresser….but in hindsight I should have gotten the metal legs on mine. I keep hitting the wood legs with my vacuum and that’s not good. Carol, if you call our Customer Care team at 800.301.9720 they can discuss options with you like touch-up pens to cover marks from your vacuum. If you’re really having regrets, you may be able to buy the metal base separately and switch it out depending on what dresser it is. Glad to hear you love your dresser otherwise!